Need Quality and Affordable Tow Truck Services? Motorists in McKinney, Texas no longer need to worry about being stuck on the road after experiencing a car breakdown, getting a flat tire or running out of fuel. When you need your car towed to the nearest auto repair shop, anytime of the day, any day of the week all you need to do is give us a call. Magic Towing and their network of licensed affiliates offers professional tow truck services for motorists stuck in the roads of McKinney. For whatever reason your car is stuck, a flat tire, an engine problem or a battery problem – we can tow it for you at affordable prices and transport it to where you need your vehicle to be. We offer a comprehensive range of towing services for all types of vehicles. And to top it off, we also offer emergency roadside assistance to assure the safety of motorist in McKinney. We our affiliate network of independent & licensed tow truck operators will provide you the best of all general tow truck services including emergency towing for vehicles that have broken down in the middle of the road or those who have encountered an accident. We will tow your vehicle of any kind to a service station or anywhere you need it to be. You won’t have to leave it unattended overnight or for more than half an hour after your call. Emergency roadside services are often needed at the most inconvenient times. Don’t worry. We’ve got your back. All you need to do is call our hotline and inform our friendly operators what your car trouble is and where you’re stuck in McKinney and we’ll dispatch a team to assist you. Our tow dollies are equipped to handle regular sized vehicles, while our flatbed trailer trucks for longer hauls and heavy duty towing. We are fully equipped to take on emergency towing, accident removal and recovery that will prevent additional accidents because of a vehicle blocking the road. Your safety and your property is our first priority. Our tow truck operators are on standby for any call for help, for services of this nature. You don’t have to wait for regular business hours to avail of our towing services. As long as you are in McKinney and you are in need of towing, call and expect us to drive to where you are – anytime of the night and day and in any weather condition. Take advantage of our professional 24/7 tow truck services in McKinney TX now. Since we are a relatively new comer in this industry, we want to establish our name first and foremost. 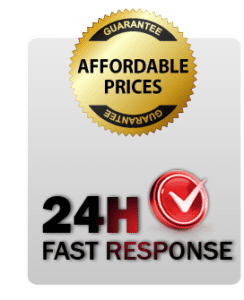 What better way to become the most accessible provider of tow truck services McKinney TX than to give you professional services at the most competitive prices? If you are in need of getting rid of a junk vehicle, accident recovery or removal – we are your best bet for quick and professional tow truck services McKinney. We ensure 100% customer satisfaction, especially since you don’t have to empty your wallet to avail of our services. We are on standby not only for towing, but for any roadside assistance you may need. Our services encompass anything a motorist may need, especially while on the road. We are ready to serve you whenever you need it. Our fleet of recovery vehicles, including our heavy duty tow trucks, are ready and waiting for your call. Our towing specialists are licensed and bonded, trained to operate towing equipment and vehicles for all roadside breakdowns, accident removal and recovery. Whether there’s accident, or you are looking to get rid of that junk car collecting dust in your driveway – we are ready to assist you. Our experienced tow truck drivers will tow your vehicle to where you need it to be. Magic Towing – tow truck services McKinney also accept long distance towing and heavy duty towing. Please get in touch with us to set a schedule. Look no further when in need of Tow Truck Services McKinney. You can rely on us for professional, quick and affordable towing services. We have the skills, knowledge, service vehicles and equipment to provide McKinney motorists the assistance they need. We work hard to give you the highest quality of services you deserve. Give us a call for emergency towing and more information.